Create new folders in your File Storage to manage your files efficiently. Enter a name for your new folder in the window Enter folder name. 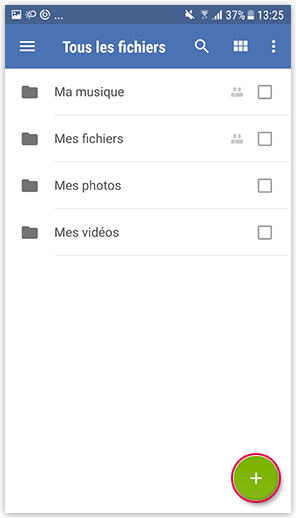 You created a new folder in which you can store files like photos or videos. Because of the Cloud synchronization, you can also access the newly created folder in your GMX Caramail account or in File Storage for Windows.